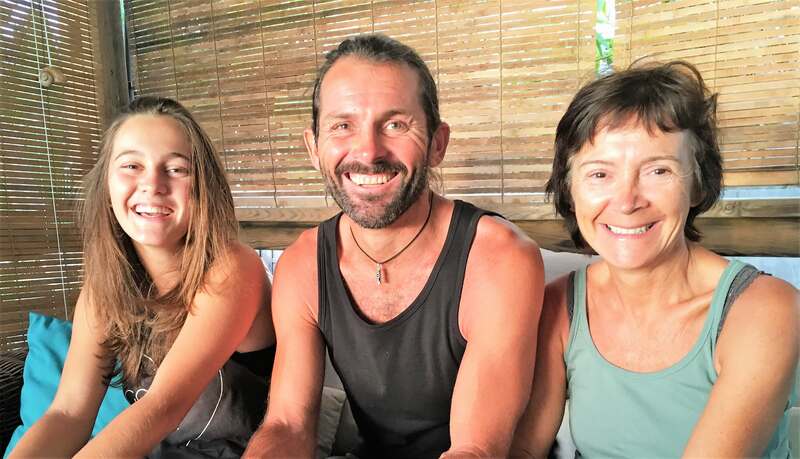 Living in a host family during your language stay is definitely the best and most authentic way to discover the Reunionese culture and makes you practice French as much as possible. Our host families are carefully selected and guarantee a welcoming and comfortable place to stay at. They are all located on the West Coast in the surroundings of our language school with a maximum 30min drive by car or bus. We don’t really recruit host families. They are friends, friends of friends, or just families who love travelling and share things with people from foreign countries. They are curious and comitted to make you live a unique experience as they would love to live in your country. It is about sharing the normal life of a family under the tropical stars. For each host family project, we take our time to understand the profile of the student and to find the best family. That is why we need as much information about you and your preferences during the booking process. The host families may be located in the direct neighborhood or in the heights of Saint Paul. As we select according to your profile the location may vary. Even if you are located in one of our host families close to our school, it is highly recommended to rent a car to be more flexible. Public transportation is not that reliable and stops its services at about 6pm. You will have your own room in the house including free internet access. Breakfasts and 2 diners with the family are included per week. You also have the choice to book half-board with breakfasts and diners all evenings.You also have access to the kitchen and the common facilities. Towels and bedding are included and changed after 2 weeks. The minimum length of a stay in a host family is one week. It is also possible to stay as a couple and we would be glad to select the right host family according to your profile. The minimum age for a stay in our host families is 18 years.